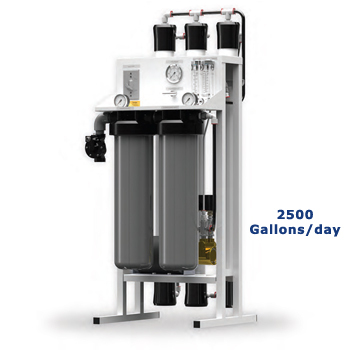 Commercial / Whole House Reverse Osmosis System that produces 2500 gallons per day. 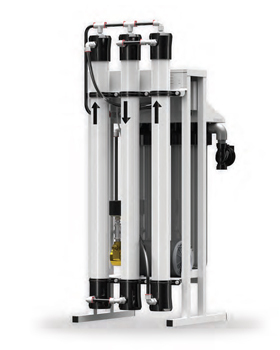 System uses Three 2.5" x 40" TFC HF1 Reverse Osmosis Membranes, for maximum rejection of impurities and high flow, and a 5 micron Sediment and 10 micron Carbon block 20"x4.5" pre-filters to capture larger particles, remove chlorine, taste and odor. Standard configuration comes as RO System Only. 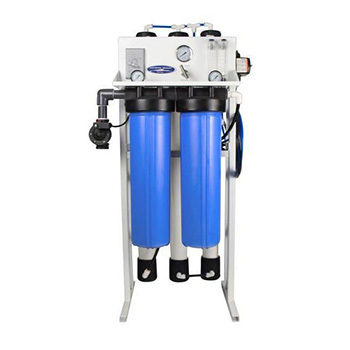 If you want this to be used as Whole House system or for drinking water purposes, consider RO with Storage Tank Kit. 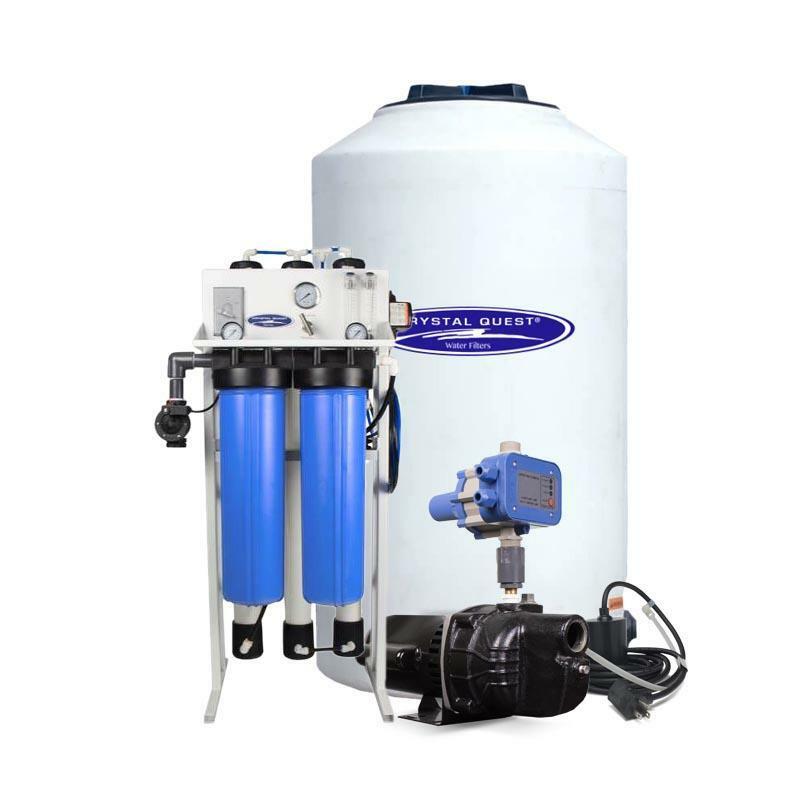 Ready to use this as an top of the line protection to your home's drinking water? Here's a Storage Tank Kit, ready to be installed to provide you with a much larger range of applications. 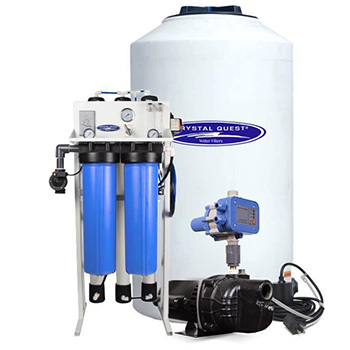 Filtered water will be stored and drawn from the tank, eliminating regular Whole House RO system's drawbacks such as low pressure and low flow. 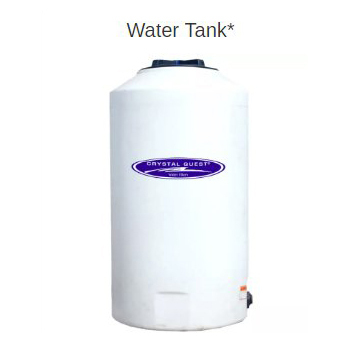 Water Tank - (165, 220, or 550 gallons storage tank) , this system of 2500 gpd will come with 220 gallon tank if Storage Tank Kit is ordered. Concentrate Re-Cycle Valve (Waste Water re-circulation package): This feature offers a higher recovery rate for the system by taking a percentage of the waste water and feeding it back into the system. Stainless Steel Housings: Three 2.5” x 40” PuroTech stainless steel membrane housings, 3/8” FNPT. RO Membranes: Three 2.5" x 40" TFC HF1 Membranes, for maximum rejection of impurities and high flow. 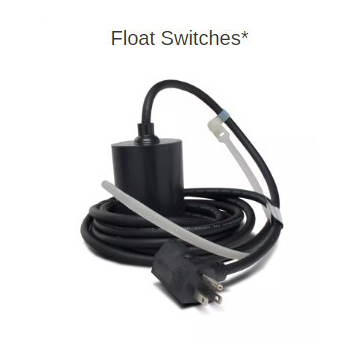 Membrane Housing: Three 2.5" x 40" Champ membrane housings, Features a patented design and requires no tools for servicing. Pump: One 401 Fluid-O-Tech 5.3 GPM brass rotary vane pump, Directly couples to the motor, and designed for continuous high pressures. Motor: One 3/4 HP GE motor, 110 or 220 Volts AC, 60 or 50 hertz. Carbon Block: One 4.5" x 20" Big White 10 micron carbon block, Removes chlorine, odor, and taste from incoming feed water. Filter Housing: Two 4.5" x 20" Big Grey double O-ring filter housings, Offers durability and improved sealing capabilities. 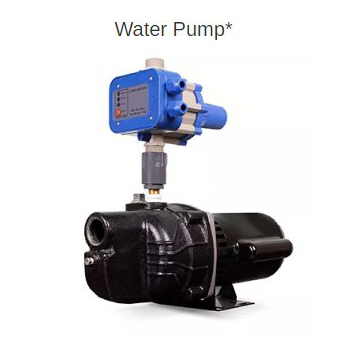 Pressure Gauges: One 2.5" Gauge, 0-300 PSI, Panel Mounted Glycerin filled, and Two 1.5" Gauge, 0-160 PSI, top mount dry gauges, For monitoring the system's operating pressure, the filter and carbon operating pressure. Manual Flush Valve: One 1/4" brass needle valve, Regulates the product to waste ratio (systems recovery). Easy Maintenance & Operation: feature a compact design and have all of their components strategically located for easy access and inspection.